Customers registered to buy a Nissan Leaf electric car will take delivery before this summer is over, Nissan Motor Co Ltd's U.S. sales chief, Brian Carolin, said on Monday. Nissan delivered fewer than 20 Leaf cars in the first month of sales in December and another 89 in January, and it has had to assuage customers who thought they would be riding in an electric car by now. Carolin said production increases of Leaf in Japan will clear the bottleneck. "We're now in the process of ramping up. Production is going to be peaking up in March and April, so we're pretty confident we are going to satisfy all of the orders we are going to get" by the end of summer. So far, about 40 percent of those with reservations have carried through and bought a car, which would imply a sales rate of 8,000 cars. Carolin said that 40 percent purchase rate is likely to drop, but he cannot be sure. The number of people showing initial interest is as high as 270,000, Carolin said. Once the list is worked through of those who have registered with Nissan, a similar sign-up process will take place, but Carolin does not know when that process will resume. 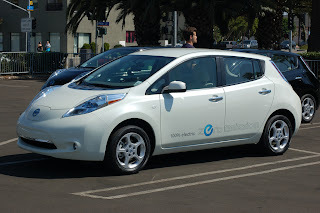 So far, almost all of the Leaf cars sold have been delivered in Northern California and the Pacific Northwest, he said. Nissan will expand sales after getting a foothold in the West. Nissan signaled to prospective customers a wide window for expected delivery and it has not met the quickest end of that range. "With a car so novel, we want to make sure that these people are happy and become advocates for the brand," he told Reuters on the sidelines of the National Automobile Dealers Association annual convention. 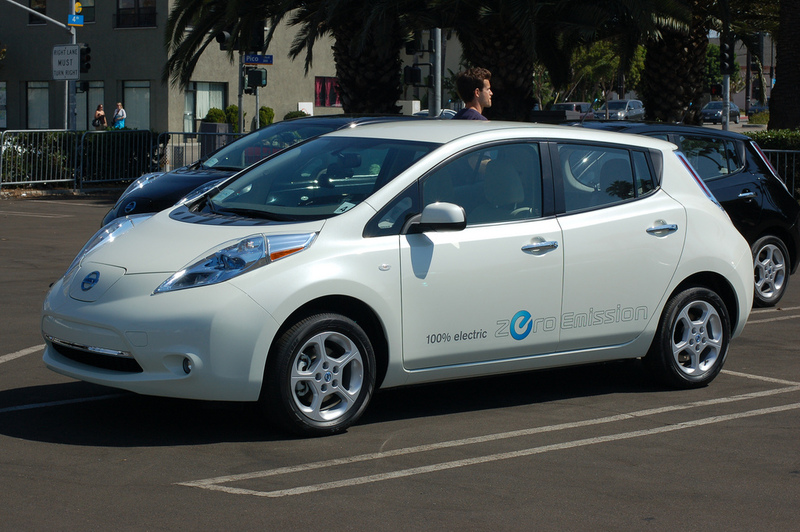 The Leaf, which went on sale in December on the U.S. West Coast, gets up to 100 miles on a full charge, according to California regulators. The U.S. Environmental Protection Agency says its range is 73 miles. Carolin said there are too few in the hands of customers to say what the result of real-life driving is. The Chevy Volt is out-selling Leaf by a wide margin so far, but Carolin said the Leaf and the Volt are not competing against one another because they are vastly different vehicles, although many consumers compare the two. "We don't have a tailpipe," he said, referring to the fact that Volt is more like a plug-in hybrid than a fully electric car. "I don't see that we are in a race with Volt." It is important for the first consumers driving Leaf be satisfied because of the social media buzz they can create, positive or negative, Carolin said. When it comers to social media buzz, "it's either on or off. There is no in-between," said Carolin. "That's why customer satisfaction is the No. 1 priority. We're not in a numbers race." But the rest of Nissan and its luxury brand Infiniti are clearly in a numbers race with their mass-produced cars and trucks. Carolin said that the success of Leaf is valuable to the Nissan's wider lineup. "We're using the Leaf as a halo product" for the entire Nissan lineup, he added.